VIDEO: Happy Chanukah from the JIDF! Mumbai Terrorists Active on Facebook! "Governments,Media's,Medical Mafia etc.. ran by Public Enemies #1 the Shadow Government " Bilderberg Group" (300 Ruling Families) Cover up CANCER CURE'S + TREATMENTS and need to be charged with MASS MURDER then JAILED for they're crimes against Humanity ." ",THE ORGANIZED ,MURDERING ,CRIMINALS IN OUR GOVERNMENTS doing Population control agendas ,killing and poisoning us from our food , water, air , drugs ,etc .... and also suppressing proven needed Cancer treatments and cures with Medical Hemp Oil , etc ..... , STOP SUPPORTING EVIL CORPORATIONS making us sick , killing us and destroying OUR world like Zionist owned Monsantos"
"The group of evil World Elites behind this New World Order and most of the worlds problems right now that are running our Governments, Resources , Banks , Corporations etc ..... PUBLIC ENEMY #1 THE SECRET NAZI SHADOW GOVERNMENT " THE BILDERBERG GROUP " Bilderberg Group was founded by Prince Bernard of the Netherlands in 1954 AN EX-MEMBER OF HITLER'S SS"
"You think alot of people are getting cancer etc now ? Wait till these Fascist World Elites (Bilderberg Group) that are also behind Codex Alimentarius get 100% control of our World"
Because the Ruling Elites have POPULATION CONTROL agendas and plus the compound is not patented, you may never see it on the market as Drug companies owned by Members in the BILDERBERG GROUP ( Fascist/Zionist public enemies # 1) can not profit. Its has been over a month since we could add info to the Description & News section because FACEBOOK controlled by the GOVERNMENTS has Censored this Cancer Group and many others once again. As many now know that Truth groups, videos etc are being Censored all over the Internet. We really need your help more then ever to Expose what has been going on and Stop their Fascist/Zionist New World Order Agendas like Codex Alimentarius, etc. "John Kanzius has invented a machine that he believes may lead to a cure for cancer just hope it does not get put on the shelf in the shadows like other cures have . These and other similar devices are around, which the fda , Rockerfellas , Ted Turner , Rothschild's and med association (same ) and big pharma try and get rid of and do." "The Matrix is a system . That system is our enemy. But when you're inside, you look around, what do you see? Businessmen, teachers, lawyers, carpenters. The very minds of the people we are trying to save. But until we do, these people are still a part of that system and that makes them our enemy. You have to understand, most of these people are not ready to be unplugged. And many of them are so inured, so hopelessly dependent on the system, that they will fight to protect it." WRITE THE TRUTH ON THE MONEY!! Only write on the light border of all your bills, as not to deface them, subsequently keeping them in circulation. Use their own control and tyranny against them. Allow our founding fathers to speak of freedom once again and the paper will leave your hand carrying true value, knowledge. Write things like, “9/11 was a Zionist + Bush inside job”, etc. anything to get the message out and inspire people to open their eyes. Do not deface the bills as they will be destroyed. The Illuminati's current plan to reduce the world's population was set into motion at a 1957 symposium on future world development. The astonishing 'conclusion' of this seemingly benign symposium was that over-population and excessive exploitation of the environment would result in the self- destruction of the earth by the year 2,000 or shortly thereafter (Note:Illuminti front organizations for New World Order propaganda, like Cornell University, continue to "illuminate" us, to this very day, with this over-population point of view). Domestically, the strategy is to make the public believe that bio attacks by foreign terrorists (like Osama bin Laden-who seems to be the government's latest incarnation of Hitler; he having replaced former title holders like Kadaffi, Hussein, and Milosevic for the honor) is inevitable and when it happens the government will say that they have tried to warn us all along. A similar tactic is being used by the government to accilimate the public to the notion that these new, bugs are showing up everywhere-birds in New York, wild deer and antelope in national parks, etc. and that they are being spread by international travel, etc. (same set of lies they used when AIDS started showing up in 1983-85). Starting in December of 1997, this administration of Illuminati puppets have been seeding stories into print and electronic outlets about the "growing fear" of Anthrax attack and the need to "protect" the troops. When it comes to the public, however, former CIA director John Deutch told CNN in July of '99 that the government wasn't prepared for that task, so further preparations need to be taken. I guess we're suppose to believe that the military's staging of mock battles in US cities is also part of the government's "protection" plans for us against those nasty foreign terrorists. The staged and planned attacks of the World Trade Center and Pentagon buildings were deliberate acts orchestrated by Illuminati planners using naive arab dupes (the "terrorists") to pull off a suicide mission in which they were allowed, guided, and facilitated by hidden intelligence agents and operatives. They are using this orchestrated ruse to stampede the public into accepting Big Brother control and ID programs, along with the sweeping away of constitutional guarantees and liberties under the guise of anti-terrorists legislation. The dessimination of biowarfare agents in America to reduce population needed a convenient cover and the "terrorists" scenario provided it. I'm simply astonished at the gullibility of so many Americans in accepting this poorly covered up orchestration. The growing number of web sites and well written aritlces that are exposing the details of this deception-from the planted bombs in the WTC towers to the stand down of military air defence forces while the hyjacked planes were enroute-makes it abundantly clear that the attacks of Sept 11, 2001 were a ruse, a charade, a set up that even a child should recognize. In case you are interested in contacting them, they have their website listed as "nowresistance.com." Apparently their "office is the "Canadian Action Party" and "Dr. Ron Paul, and their location is apparently "911 WAS A ZIONIST + BUSH INSIDE JOB: Google RING OF POWER pt&2." We wonder how many of the 1.3 million people who joined this group bothered to read the description? The fact is that a few Zionists are major public enemies that have been a cancer on humanity. Monsanto's is owned by Zionists and we all know that Monsantos posions the whole world with their bovine growth hormone etc. They are pure evil and these same few Zionists were also involved in 9/11. Never forget the Zionists Control a lot in our corrupt society to pull this off, including HOLLYWOOD, MOST of the Main Media's in America & Canada, etc, including the World Trade Center's (Owned By Zionist Larry Silverstein that made BILLIONS) and Banks like the Federal Reserve Bank. It’s not “federal” at all. It’s privately owned. By ZIONISTS that are in the BILDERBERG GROUP! Millions in the World Believe Zionists were behind 9/11 and its time you realize it is TRUE. Like come on!! NO Muslims were arrested on 9/11 yet 140 Zionist Israelis were arrested by the FBI prior to 9/11 and a even more on the date of 9/11!!! 5 were arrested CHEERING AND CELEBRATING ON TOP OF THEIR VAN!!! 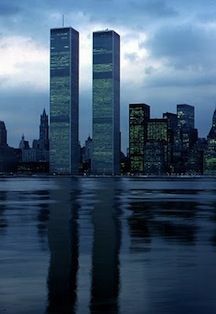 While thousands died as the World Trade Towers collapsed!!! What was their excuse? They were making a documentary!? No Muslim has been Charged by the FBI for 9/11 INCLUDING Bin Ladden due to insufficiant evidence... Go figgure. Wondering why? BECAUSE HE WAS THE FALL GUY!! SOMONE NEEDED TO GET BLAMED!!! AND GOD FORBID THE ACTUAL CULPRIT BE ACCUSED!! Sure there is a lot of Evidence suggesting that Zionists were involved except that was silenced by the Main Corporate Medias owned by Zionists. Look what the Zionist run Army are doing to the poor innocent people of Israel (Killing Babies, Children, Women, etc).“WHY WAS THE ZIONIST JEW Philip Zelikow appointed as Executive Director of the 9-11 Commission?” many are now asking. Indeed, many are saying that Zelikow, with his close ties to Condoleezza Rice, Cheney, & President George Bush, could not conduct an unbiased investigation as Director of the Commission. It WAS A SET UP!! and a FALSE FLAG ATTACK to take over the World with this WAR OF LIES "THE WAR ON TERROR". It will never end until they have their NEW WORLD ORDER or until we the citizens TAKE CONTROL of our world by other means, such described in "THE VENUS PROJECT". Do your research and open your eyes to the possibilities. We are all in this TOGETHER!! It's a shame when good causes like fighting cancer are hijacked in an effort to push nonsense like this. It happens all the time on the web. The scary thing is that many people, especially young people are believing all this nonsense.